A large percentage of businesses across the world rely on Microsoft Office for their day-to-day business operations. From documents, tofinancial spreadsheets, to presentations for potential clients, Microsoft Office has been the dominant office application suite for years. Many companies have transitioned away from the traditional on-premise Microsoft Office Suite that gets installed on each individual workstation, and have opted for a Microsoft Office 365 subscription. With Office 365, you pay per user and it guarantees that you are working with the latest and greatest version of office. One of the biggest benefits of Microsoft Office 365 is its real-time collaboration capabilities that allow teams to edit files in real-time, regardless of if the entire team is in the office or if all employees are remote. For companies that haven’t made the switch to Microsoft Office 365, there are some options out there that can improve collaboration among team members as well as increase the telecommuting capabilities of employees. For offices that are using on-premise Microsoft Office, Microsoft OneDrive offers great co-working and remote connection capabilities to help improve collaboration and performance. By syncing shared folders to individual workstations, teams can work together on files either in the office or on the go, knowing that whenever edits are made to the documents, spreadsheets, or other files on one person’s computer – they are automatically synced in OneDrive and on the workstations of the other team members. This option is available for OneDrive users running Windows 7, Windows 10 and Mac (they left out Windows 8.1 suggesting that Windows 8.1 users should utilize the free upgrade to Windows 10). 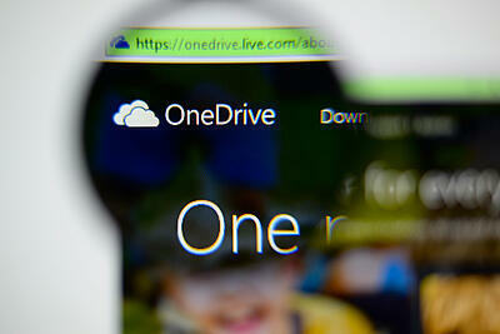 Windows Central posted a great blog this week talking about some great features in OneDrive. One of these features is called “Fetch” which comes in handy if you are working from home (or while traveling) and you need a file from your desktop that you forgot to upload before leaving the office. Fetch allows you to access all files on your desktop or workstation via the OneDrive website. You do need to have an active internet connection to do access the files. Additionally, Fetch is not set as a default option. You need to enable Fetch to access all of your computer files through OneDrive via a web browser. There is another caveat to this, Fetch is not supported by Windows 8.1, so this option is really only available to Windows 10 users. So even if your company hasn’t switched over to the cloud-based Microsoft Office Suite, Office 365, you can still allow teams to collaborate and seamlessly work remotely through OneDrive, Microsoft’s cloud-storage and file-hosting service.